NGC1342 is an impressive open cluster in Perseus with more than 50 stars and an apparent diameter of 15 arc-minutes across and was discovered by William Herschel in 1799. The cluster is dominated by multiple magnitude 8-10 stars lying in a horizontal band. NGC1342 lies at a distance of 1,170 light-years away and is estimated to be fairly young at only 450 million years old. 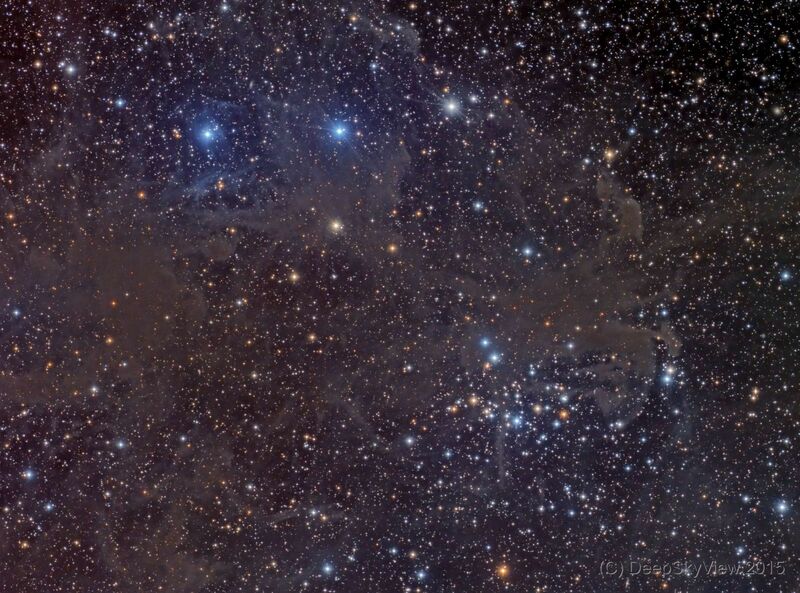 The cluster overlaps with the dark nebulae LDN718 and LDN719 that are clearly visible as expansive nebulosity in the image.